Promarine Deluxe APL420 is a solid, safe and high quality inflatable dinghy. Promarine Deluxe APL420 has aluminium floor and seats. The boat comes with a lot of equipment: a case for a boat, a case for the floor, a foot pump, folding paddles, a repair kit, a seat cover with underseat bag and a monometer. The rear floor plate has a special place for fixing either the battery, the fuel tank, or both. The boat is convenient for transportation thanks to many carrying bays. The weight of the boat is only 98 kg. Promarine Deluxe APL380 is a solid, safe and high quality inflatable dinghy. Promarine Deluxe APL380 has aluminium floor and seats. The boat comes with a lot of equipment: a case for a boat, a case for the floor, a foot pump, folding paddles, a repair kit, a seat cover with underseat bag and a monometer. The rear floor plate has a special place for fixing either the battery, the fuel tank, or both. The boat is convenient for transportation thanks to many carrying bays. The weight of the boat is only 83,5 kg. Promarine Deluxe APL360-PL is a solid, safe and high quality inflatable dinghy. Promarine Deluxe APL360 has plywood floor and seats. The boat comes with a lot of equipment: a case for a boat, a case for the floor, a foot pump, folding paddles, a repair kit, a seat cover with underseat bag and a monometer. The rear floor plate has a special place for fixing either the battery, the fuel tank, or both. The boat is convenient for transportation thanks to many carrying bays. The weight of the boat is only 84 kg. Promarine Deluxe APL360 is a solid, safe and high quality inflatable dinghy. Promarine Deluxe APL360 has aluminium floor and seats. The boat comes with a lot of equipment: a case for a boat, a case for the floor, a foot pump, folding paddles, a repair kit, a seat cover with underseat bag and a monometer. The rear floor plate has a special place for fixing either the battery, the fuel tank, or both. The boat is convenient for transportation thanks to many carrying bays. The weight of the boat is only 80 kg. Promarine Deluxe APL320 is a solid, safe and high quality inflatable dinghy. 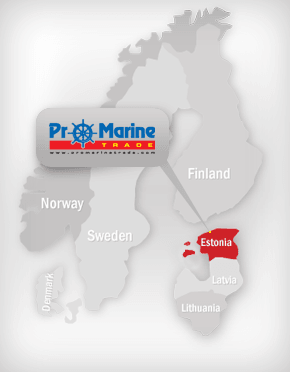 Promarine Deluxe APL320 has aluminium floor and seats. The boat comes with a lot of equipment: a case for a boat, a case for the floor, a foot pump, folding paddles, a repair kit, a seat cover with underseat bag and a monometer. The rear floor plate has a special place for fixing either the battery, the fuel tank, or both. The boat is convenient for transportation thanks to many carrying bays. The weight of the boat is only 50 kg. Inflatable dinghy from a Ukraina manufacturer, which pays a great deal of attention to product development. The STK series model incorporates design features like a plywood non-slip floor to maximize comfort and safety. The boat has V-hull configuration and inflatable keel to provide extra stability during maneuvers. Warranty: 36 month. Promarine AL430 is a solid, safe and high quality inflatable dinghy. Promarine AL430 has aluminium floor and seats. The boat comes with a lot of equipment: a carrying case for the boat and for the floor, a foot pump, folding paddles, a repair kit and seats. The rear floor plate has a special place for fixing either the battery, the fuel tank, or both. The boat is convenient for transportation thanks to many carrying bays. The weight of the boat is only 100 kg. Promarine AL380 is a solid, safe and high quality inflatable dinghy. Promarine AL380 has aluminium floor and seats. The boat comes with a lot of equipment: a carrying case for the boat and for the floor, a foot pump, folding paddles, a repair kit and seats. The rear floor plate has a special place for fixing either the battery, the fuel tank, or both. The boat is convenient for transportation thanks to many carrying bays. The weight of the boat is only 83 kg. Promarine AL330 is a solid, safe and high quality inflatable dinghy. Promarine AL330 has aluminium floor and seats. The boat comes with a lot of equipment: a carrying case for the boat and for the floor, a foot pump, folding paddles, a repair kit and seats. The rear floor plate has a special place for fixing either the battery, the fuel tank, or both. The boat is convenient for transportation thanks to many carrying bays. The weight of the boat is only 59 kg. Promarine IPB300 is a solid, safe and high quality inflatable dinghy. Promarine IPB300 has plywood floor and seats. The boat comes with a lot of equipment: a carrying case for the boat and for the floor, a foot pump, folding paddles, a repair kit and seats. The boat is convenient for transportation thanks to many carrying bays. The weight of the boat is only 30,5 kg. Promarine IPB250 is a solid, safe and high quality inflatable dinghy. Promarine IPB250 has plywood floor and seats. The boat comes with a lot of equipment: a carrying case for the boat and for the floor, a foot pump, folding paddles, a repair kit and seats. The boat is convenient for transportation thanks to many carrying bays. The weight of the boat is only 25 kg. Promarine PW330 is a solid, safe and high quality inflatable dinghy. Promarine PW330 has plywood floor and seats. The boat comes with a lot of equipment: a carrying case, a foot pump, folding paddles, a repair kit and seats. The rear floor plate has a special place for fixing either the battery, the fuel tank, or both. The boat is convenient for transportation thanks to many carrying bays. The weight of the boat is only 59 kg. Promarine PW300 is a solid, safe and high quality inflatable dinghy. Promarine PW300has plywood floor and seats. The boat comes with a lot of equipment: a carrying case, a foot pump, folding paddles, a repair kit and seats. The rear floor plate has a special place for fixing either the battery, the fuel tank, or both. The boat is convenient for transportation thanks to many carrying bays. The weight of the boat is only 51 kg. Promarine PW285 is a solid, safe and high quality inflatable dinghy. Promarine PW285 has plywood floor and seats. The boat comes with a lot of equipment: a carrying case, a foot pump, folding paddles, a repair kit and seats. The rear floor plate has a special place for fixing either the battery, the fuel tank, or both. The boat is convenient for transportation thanks to many carrying bays. The weight of the boat is only 49 kg. Lalizas constructs the 1100D PVC Hercules of 1050 g / m², with cold welded joints. This material has very good performance in a wide range of temperatures and chemical resistance to oils and fuels. The parts are stainless steel. It has 2 year warranty on materials and welds. Features: Number of people: 2, Max.load: 310 kg, Maximum power: 4.1 HP / 3 kW, Dimensions: 220 x 142 cm, Weight: 25,5 kg, Pontons diameter: 40 cm, wooden seat. 80 x 23 x 1.5 cm, Stowed dimensions: 102 x 32 x 46 cm. Included: Sowage bag, repair kit, pump, 2 paddles. Lalizas constructs the 1100D PVC Hercules of 1050 g / m², with cold welded joints. This material has very good performance in a wide range of temperatures and chemical resistance to oils and fuels. The parts are stainless steel. It has 2 year warranty on materials and welds. Features: Number of people: 2, Max.load: 280 kg, Maximum power: 4.1 HP / 3 kW, Dimensions: 185 x 140 cm, Weight: 24 kg, Pontons diameter: 40 cm, wooden seat. 80 x 23 x 1.5 cm, Stowed dimensions: 102 x 32 x 46 cm. Included: Sowage bag, repair kit, pump, 2 paddles. Inflatable dinghy from a Ukraina manufacturer, which pays a great deal of attention to product development. Rowing boats from Storm STM-line are reliable and durable models equipped with outboard transom that allows installation of electric motor. They are made of high-quality PVC fabrics of 950 g/m2 and will become perfect complement for water recreation. Warranty: 36 month. Inflatable dinghy from a Ukraina manufacturer, which pays a great deal of attention to product development. Storm ST-T- line includes rowing boats with outboard transom. This allows to move a boat not only with oars, but with motor of 3.4 h.p. As all rowing boats ST-T models are compact and lightweight, they are easy to store and transport. Due to these facts ST-T boats become perfect choice for water recreation. Warranty: 36 month. Inflatable dinghy from a Ukraina manufacturer, which pays a great deal of attention to product development. Storm ST-T-line includes rowing boats with outboard transom. This allows to move a boat not only with oars, but with motor of 3.4 h.p. As all rowing boats ST-T models are compact and lightweight, they are easy to store and transport. Due to these facts ST-T boats become perfect choice for water recreation. Warranty: 36 month. Inflatable dinghy from a Ukraina manufacturer, which pays a great deal of attention to product development. The Storm ST- lines represent wide range of high-quality and reliable inflatable boats. They are made of durable PVC material and consist of O-shaped inflatable buoyancy tube divided in two airtight compartments. Warranty: 36 month.